At this time I am instructing between 4 - 6 classes per week at the studio. Between Cize and Turbo Kick I get in a lot of cardio-endurance exercise. Resistance and Kettlebell gives me my strength and resistance training. I still try to run on the treadmill 1-2 times per week. I also enjoy taking various fitness classes in my spare time. I currently attend a Core, Step, Pilates/Yoga and Power Lifting classes on various nights of the week. I try to catch an Insanity or P90X class when my schedule allows. When I am unable to make it to the gym or studio I do a home workout. My go-to home workout has always been Insanity Max:30. To shake things up, sometimes I do a Cize or Cize Live workout or run through some of my other choreography. The 3- Day Refresh is a healthy cleanse/detox without the excessive liquids or the fasting. With the 3- Day Refresh you can expect to feel full/satiated, have energy and cleansing your body in a healthy way! The 3- Day Refresh is for those that would like to jump start their weight loss, keep from plateauing, and/or clean up your body after a vacation or some bad decisions! Below are 3 videos reviews and my photo results. I ended up losing 5 pounds and you can see the visible results of less bloat. Basically, you go as hard as you can until you need a break. That is your Max Out time. You record that number and jump back in. Your goal is to beat that number every time you do that workout and improve. This program really works and I modified the ENTIRE first round. 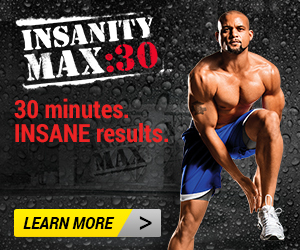 I lost 20 pounds and 29.5 inches on my first round of Insanity Max:30! I am now on round 2 and I am trying not to modify- I don't need to because my endurance has greatly improved and I can push myself harder. This is a program that is a twist on traditional weight training. 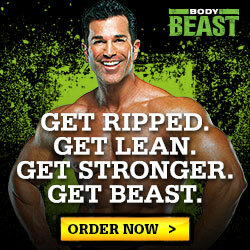 It uses a scientifically developed concept called Dynamic Set Training to build muscle and see better results. I am not trying to bulk up but I am trying to get lean, toned, arms and back. So I am just doing the build or lean phase. Due to the fact that I also do HIIT and 5k training with a lot of leg work I skip leg day because I am trying to lean and lengthen my thighs and calves not bulk them up. My first 5k was on Sunday, May 10th at Onondaga Lake Parkway in Liverpool, NY. It is called SHOW YOUR SWELL. Click the TRAIN ME! button to contact Courtney regarding personal training, virtual health and nutrition coaching or live group fitness classes.